What will happen when superheroes meet LEGO bricks? The following results tell us powerful superman can be converted into LEGO model, also including the Green Lantern. 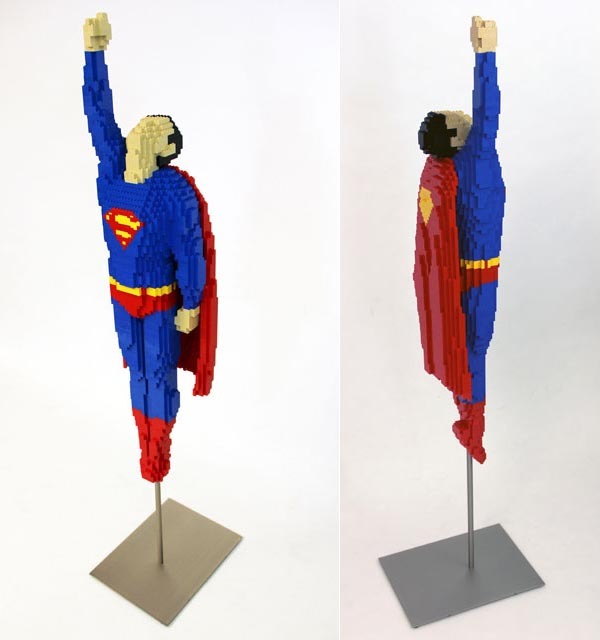 These two superhero themed LEGO creations are the latest pieces by Nathan Sawaya, one of the most famous LEGO artists. 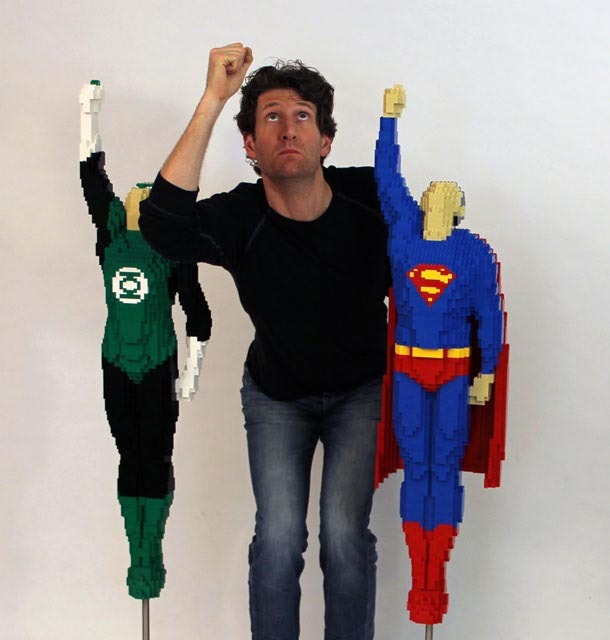 The Superman LEGO version was created for the Hero Complex Film festival, while the release of Green Lantern LEGO sculpture is more appreciate, even though the reviews of the film Green Lantern were mixed with different options. 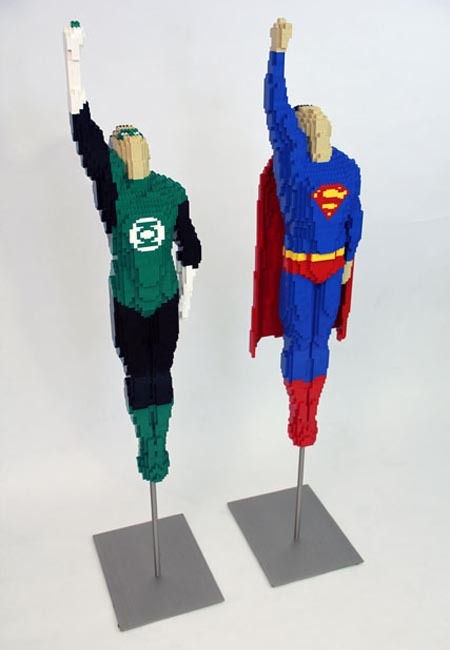 As we can see from the images, no matter the Superman or the Green Lantern, both of the LEGO creation features superhero’s iconic flying pose, and each one features subtle details and accurate colors. After the break, check out the images about the LEGO superheroes. Additionally, if you also like other LEGO creations from Sawaya, don’t miss the bedroom build with LEGO bricks.